ActiveSG is an all-encompassing and inclusive national movement for sport, brought to you by Sport Singapore. Poised to be a lifestyle destination for Singaporeans, ActiveSG offers individuals, families and communities ample opportunities to experience and share the joy of living better through sport. As part of their efforts, ActiveSG reaches out to various organizations and institutions to establish partnership programmes – providing a wider range of sports for Singaporeans to experience and enjoy. After a successful pilot programme launched together with ActiveSG on 6th September 2017, Changi Sailing Club is now running 1-Day Experiential Sailing Programmes on a regular basis during the School Holidays. Conducted on the fun and spacious Pacer Dinghies, participants are taught simple terms and fundamentals of sailing before going out to sail in groups of 4 participants per boat. Helmed by our young sailors from the CSC Youth Squad, participants are treated to a one-of-a-kind experience unique to Changi Sailing Club! We believe this programme meets our own objectives of making sailing more accessible for every Singaporean and encourage bonding through sailing. CSC is certain that through this partnership programme, more Singaporeans will be aware of the benefits of sailing and ultimately encourage people to take up sailing as a lifestyle choice via membership and sailing activities. To sign up, please click this link – ActiveSG. 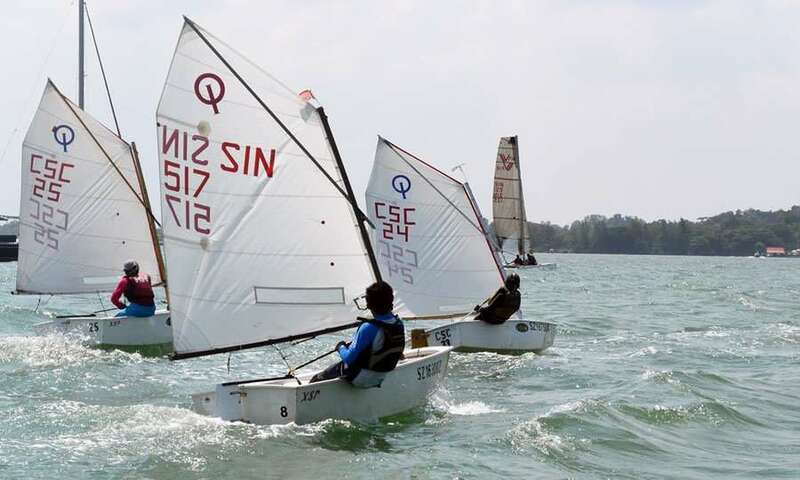 Come race with us at Changi Sailing Club! In addition to our packed racing calendar for the Keelboats and Multihulls, we also have a Monthly Dinghy Race on every last Sunday of each Month. What’s not to like about an afternoon of casual racing with our Youth Squad Sailors on the weekend at Changi Sailing Club? Helmed by our very experienced Head Coach, Ms Jhing – our Youth Sailing Squad is growing from strength to strength. Comprising of the Optimist Junior, Racer and Byte Squads, we have a total of 30 sailors and growing! 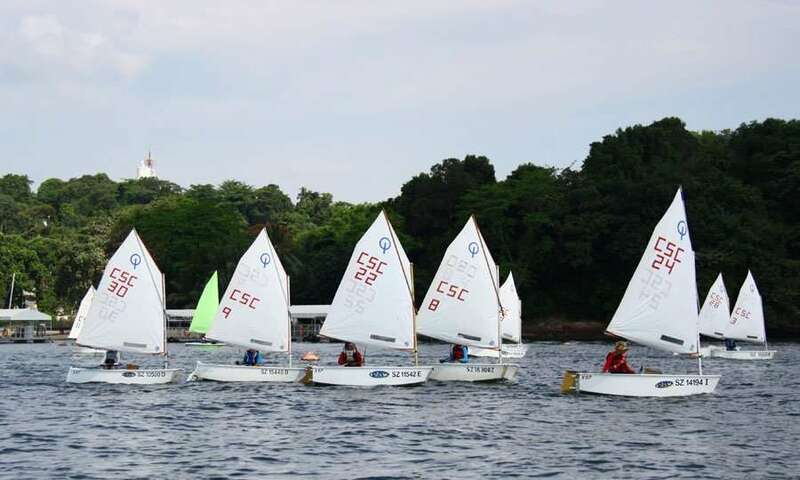 The CSC Youth Sailing Programme helps young sailors develop their confidence and sailing techniques in a fun and safe environment. 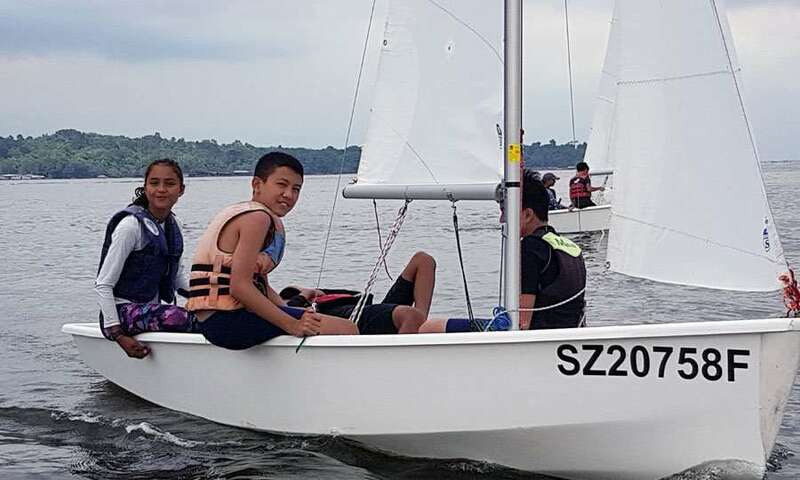 Taking place every Sunday, our dedicated coaches Jhing and Zandra Chew will train your child to be proficient sailors and be ready to take part in national regattas! This Programme is available for Members/Member’s Children and is suitable for sailors aged 8 – 16 and/or just graduating from the Optimist Introductory Sailing Courses. The Singapore Scouts Association has a rich history, dating back to 1934 – when the first Singapore Sea Scout Troop was formed. Its founder, Mr Frank Edward Anson Blackwood Sewell was its first Scoutmaster, bringing Singapore Scouting a youth programme emphasizing boating and water-based activities. As Singapore was established as an important trading port and major city since our colonial era, Sea Scouting has remained relevant and vibrant through the years, supporting the physical, mental and spiritual development of our youth. In tandem with the general Scout programme, Sea Scouting in Singapore is now a branch of the Singapore Scout Association offering a co-ed youth programme with a system of Progress Badges and Proficiency Badges with considerable emphasis on water activities. Previously housed at the National Sailing Centre, the Sea Scouts in recent years have been relatively quiet in their activities, having moved their operations and activities back to their main Scout HQ in Sarimbun. 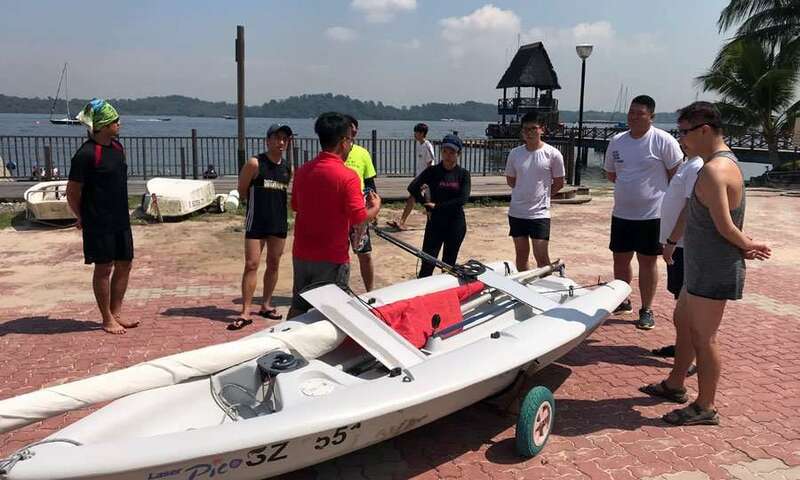 Today, the Sea Scouts Programme is seeing a revival through a new partnership with Changi Sailing Club. The Club reached an agreement with the Sea Scout leaders to assist in rebuilding their sailing programme – using our facilities as their new base for future water activities. Since October 2017, our instructors have been working closely with the Sea Scouts to train their leaders in the fundamentals of sailing – setting the foundation for future sailing activities to be conducted on their own. CSC sees much value from this partnership, as we endeavour to being a more inclusive and vibrant sailing club. The opportunities created from being housed in our club will also benefit the young sea scouts greatly – from water events management to increased sailing exposure. As such, the Club eagerly looks forward to working with the Sea Scouts to rebuild their sailing and water activities programme.